We are open daily, year round. The trout pond opens at 9:00am and closes at 5:00pm. Winter hours change slightly due to shortening daylight and low temperatures. Yes, you can fish even if there is snow on the ground and ice on the pond. The Trout Farm was originally built in the early 1970’s by Willard and Joan Woody and it has had three owners since then, but Cooper Creek is much more storied to begin its history in the 1970’s. The Woody’s bought it from Henry and Bell Davis who bought it in 1940 from J. H. and Jessie Mae Banks. Henry made axe handles and farmed the land. Mr. Banks was a minister who came from Haywood County in the 1930’s to raise his family here during the Depression era. They farmed and had their own farm animals. More recently, in 1993, Douglas and Patricia Crockett bought and operated the trout farm and catch-out-pond. They raised their family here until 2005 when it was sold to the current owner the Maranatha Trust. There were several pioneer homesteads further up Cooper Creek past the Trout Farm until the formation of The Great Smokey Mountains National Park in 1944. The present 3 bedroom, 2 bath farm house has had several additions during its rich past, but the two story hand hewn log home and chimney, built circa 1870 – 1880 remain intact. 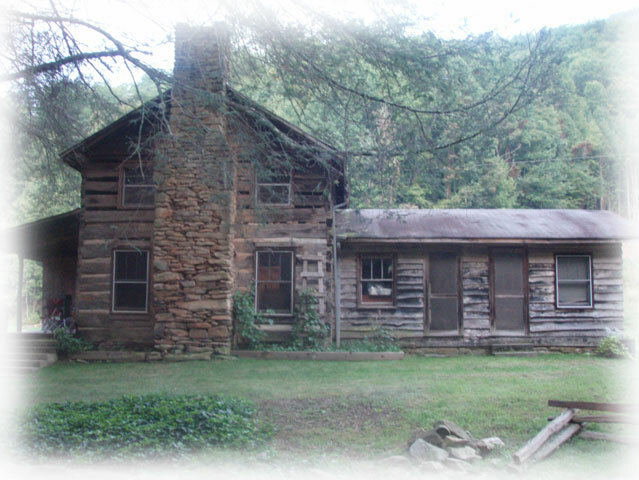 Writer, John Parris, in his book “These Storied Mountains”, wrote of his visit with Henry Davis at this old homestead. We welcome you to come join us to play, and to be at peace, and let the water and mountains strengthen and restore your spirit.